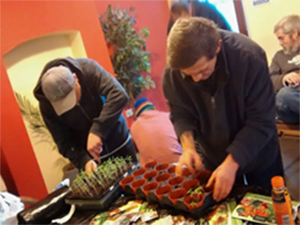 Enabling communities in Leicester to live happy, healthy lives within the natural limits of our planet. 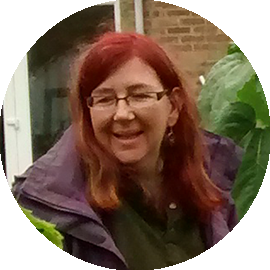 Graceworks enables people to live and enjoy sustainable lifestyles and promote wellbeing. We do this by demonstrating a model for sustainable livelihood – that is, to make a living without damaging the health of the environment, the economy, the community or the individual. Aiming to strengthen our local communities and make them more resilient. Contributing to the creation of a sustainable and just food system. 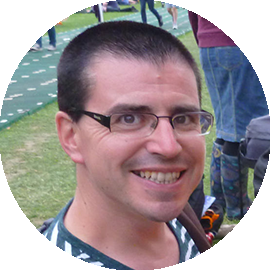 Ben was born in Spinney Hill in Leicester and returned six years ago with his family to be part of Community of Grace, a community for people who were once homeless. 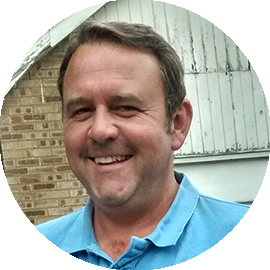 Joe has been growing his own fruit and veg for many years and formed Graceworks to develop a project that could both restore and heal both the land and people. 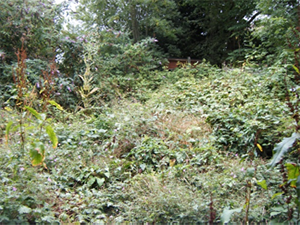 Volunteers from: The local community, Community of Grace, Community Payback Team worked through cold and wet winter days to clear the land ready for planting. 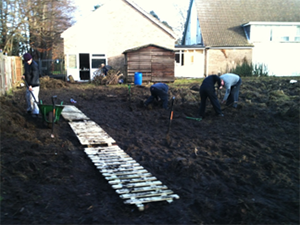 The work continued on the land and the whole space was cleared. When the weather was too bad for digging and chopping, seedlings were planted. 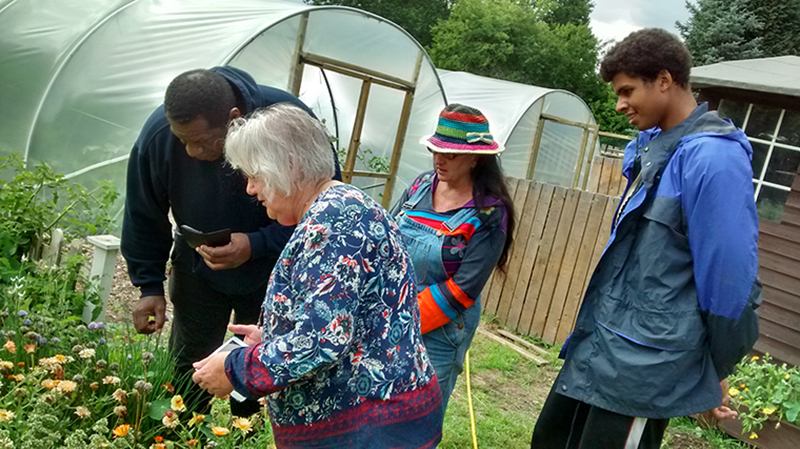 Local councilors visited and discussed a grant for essential equipment and two poly-tunnels. 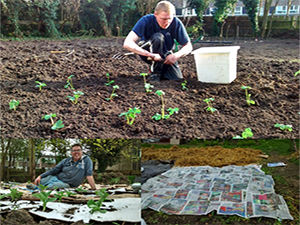 The potato, broad bean and strawberry beds were planted out. Mulch started to be laid down to suppress the weeds and to keep the nutrients and water in the soil. 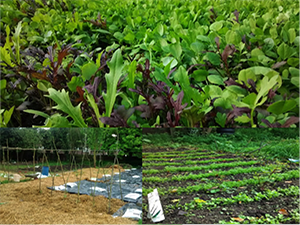 The first outdoor salad crop was harvested, including mustard leaves and rocket. The root veg was showing growth and so were the weeds! 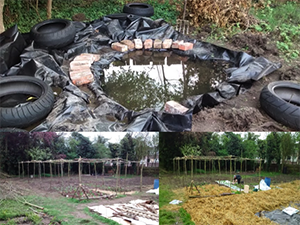 The netting area was completed and the strawberry and pea crops were well underway. The poly-tunnel was ordered and should arrive early next month. Hundreds of seedlings were waiting in the hall, desperate for sun and warmth! 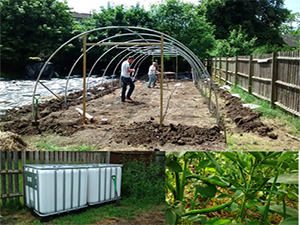 The construction of the poly- tunnel started with digging over 100 feet of trenches.IBC water tanks arrived and irrigation put in place ready for planting in the poly-tunnel. The first crops were planted in the tunnel including: aubergines, peppers, chilies, tomatoes and cucumbers. The broad beans are nearly full size and ready to harvest. 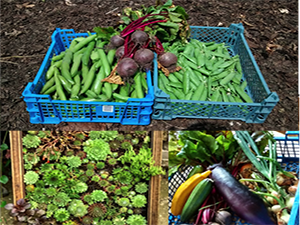 Broad beans, beetroot, peas, squash, courgettes, onions, aurbergines were harversted . Now the vegetable garden is well underway, research into other urban gardening techniques could commence and Gracworks’ first living wall was created as an example of how you can grow vertically in an urban setting.